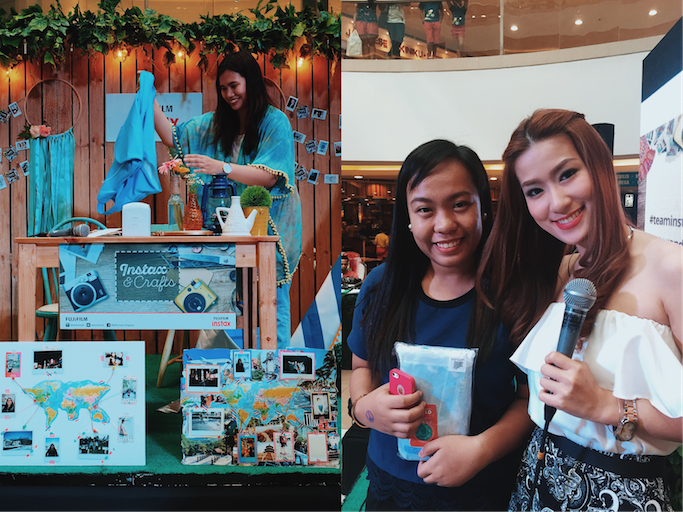 Last week, I had a crafty workshop with Fujifilm Instax Philippines at the SM Megamall Atrium. It was my second time to hold one with this brand, and although I still get nervous before the workshop, I'd say it always ends great every time. I go home with a full heart and new friends! Anyway, weeks prior the workshop date, Team Instax asked me for my ideas on what art projects should I teach. I decided to work on something travel themed since it's really my "thing" right now. As expected from this well-loved brand, lots of people came. Entrance is FREE, and guests received art materials! Ang saya. Since since my art project is on traveling, I approached one of my new Instagram sponsor (Flight 001 Philippines) and asked them if they want to sponsor my workshop's prizes. I think it's also a great way to encourage the attendees to participate, and talagang careerin their works. Flight 001 was created by business travelers John Sencion and Brad John during mid-flight, they envisioned a streamlined travel store that satisfies the frequent traveler's every need. Padlocks, gadget cable, adaptors, power banks, portable speakers, etc. And these SpacePak products, in different prints and sizes (according to travel length). Neatly stuff your clothes in these SpacePak. This small SpacePak can fit your 2 weeks worth of clothes! Back to my workshop! I gave away several Flight 001 Luggage Covers to my Instagram and consolation prize winners. It was a tough decision to make because everyone's super creative! Buti nalang talaga I have spare prizes to share! Visit Flight 001 Philippines at Robinson's Magnolia, East Wing Shangri-La Plaza Mall, Ayala Center Cebu, and The District Northpoint. For more information and updates, like them on FACEBOOK and follow @flight001ph on Instagram!